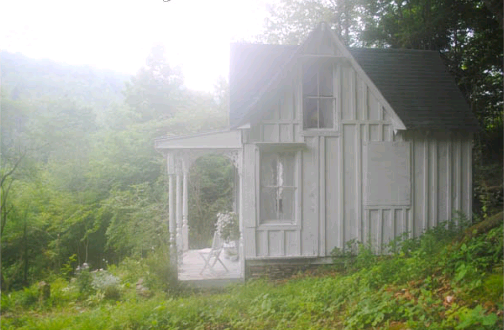 When I first saw Sandy's fairytale cottage in the woods I was enchanted in a heartbeat. 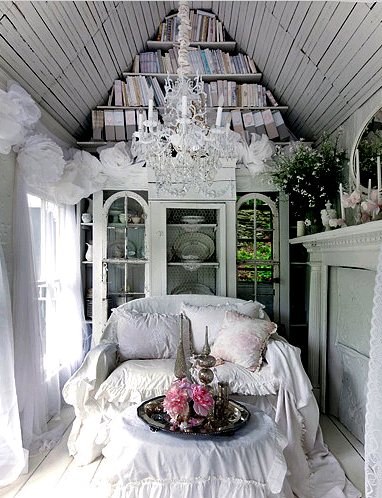 She saw potential of this hidden jewel and transformed the shabby 125 square feet cottage into a dreamy, ethereal, breathtaking dreamhouse with a Victorian feel. What impresses me the most is that Sandy did everything by herself by using salvaged materials, thrift store finds and the most important: employing her imagination and creativity! Isn't it gorgeous! I would love to have a retreat like this for myself. If you want to learn and see more photos of this enchanting place, visit Sandy 's blog. It is a true candy and you'll find yourself transfixed! Oh I want to live there ! Well Jodi, that was my first thought when I saw it!! Aw, that's so sweet, Maja, thanks so much for featuring my little place! 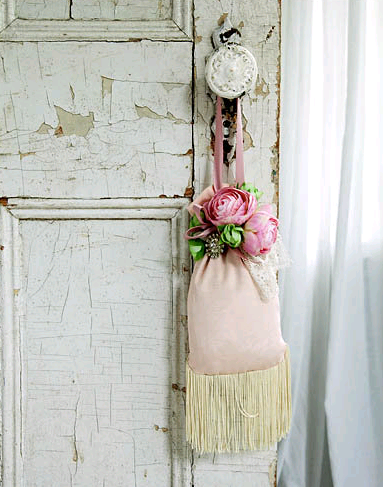 I'm following your pretty blog now. Thank you Sandy! You are a sweetheart! I was completely transfixed by this transformation. A little slice of heaven. 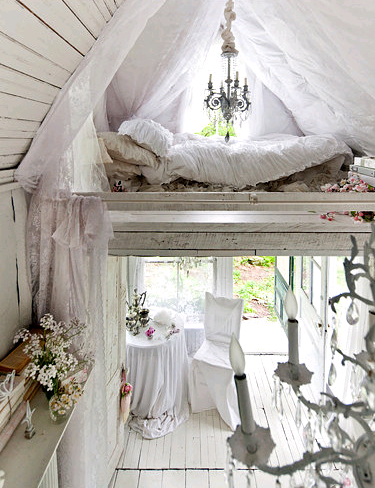 Just lovely...dreamy... Now I feel like to sew a matching sleepwear, even though I am not the one who is sleeping in there though. It's like a little girl's dream home for when they grow up, a big little playhouse. That is so beautiful! I have such a fascination with tiny places.